At Hannibal Brown, we specialise in wines from small producers who love what they do and respect the land which helps them do it. 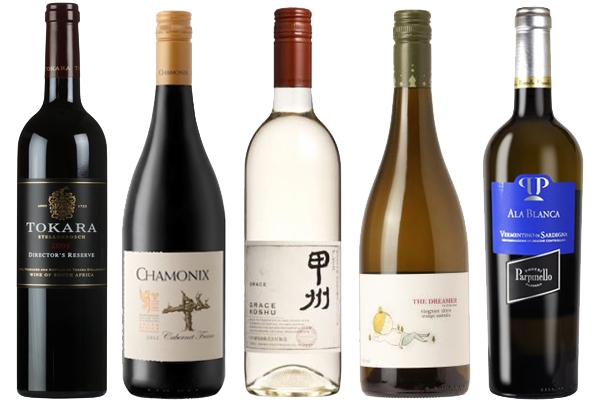 We offer a wide range of organic – and nearly organic – wines from all over the world. From the aromas and taste to the design of the bottle itself, our wealth of knowledge in fine wine is what makes us experts in sourcing the very best bespoke bottles of wine. We also venture into lesser-known corners of the wine world, so if you’re feeling intrepid, check out our range from ‘Unusual Origins’. Whether you’re looking for a personalised prosecco or a magnum of champagne, we’re sure that our wine shop has the bottle for you. For a delicate and mouthwatering champagne, the Rene Jolly will be the perfect addition to any celebration. We love the zingy taste of the Italian Sachetto Brut Prosecco, and it’s a superb choice for your significant other – whether that’s as a gift set or a personalised wine bottle. Whether you’re fascinated by the fragrances and flavours of the Jordan Barrel Chardonnay or are more partial to a drop of Pinot Noir, we’re confident that our extensive wine shop will have a tipple to suit your tastebuds. Our wide range of internationally sourced wines means that your bespoke bottle will be personally tailored to suit you. From choosing the grape to designing a unique label, everything about your personalised wine bottles is up to you. Find your favourite by browsing our collection online. Whatever the occasion, a fine bottle of personalised wine says it best. And with our personalised wine service and stunning selection of gift sets, it couldn’t be easier to treat your loved ones to a bespoke bottle of artisan wine. Whether it’s a case of personalised prosecco, a perfect selection of Rioja and Orsom cheese, or a gift box that’s hand-picked by you, our wines are sure to wow. Other than personalised wine, there’s nothing we like more than a challenge – so if you can’t find what you are looking for, give us a call on 020 3876 8008 and we’ll source it for you.